Google aims to create employment opportunities for rural India with the Foundation For Rural Entrepreneurship Development (FREND). Building on its mission to improve digital literacy amongst women in rural India, Google India and Tata Trusts today announced the extension of the Internet Saathi program, to support the Foundation For Rural Entrepreneurship Development (FREND) set up by Tata Trusts . Under this initiative, Google will jointly work with the new foundation, to create digitally enabled livelihood opportunities for the Internet Saathis. FREND, will become a vehicle for other like minded companies and institutions to utilise the Internet Saathi network and enable dissemination of information and services in the rural areas thereby creating newer avenues of income for these women in rural India. This will be in addition to imparting digital literacy to millions of rural women under the ongoing Internet Saathi program. Over 12,000 Internet Saathis across India have voluntarily signed up to take up projects in their villages as part of this next phase of Internet Saathi program. Along with Tata Trusts we have already conducted successful pilots with organisations such as Tata Water Mission, Haqdarshak, Kantar and Nielsen with encouraging outcomes. 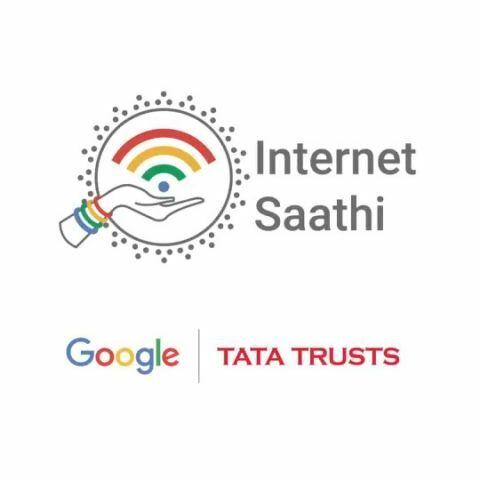 Since its launch in 2015, Google and Tata Trusts remain committed to expand the Internet Saathi program to cover 300,000 villages across India and enable women across villages to benefit from the Internet. Working closely with on ground network of partners, the program has been successfully rolled out to 12 states benefitting over 12 million women across rural India. Armed with smartphones and tablets, over 30,000 Internet Saathis are working across 110,000 villages helping women in their own and in neighbouring villages to learn how to use and gain from the full potential of the Internet.